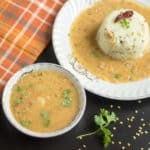 A simple and a nutritious pulav with black urad dal, rice and coconut milk made in Instant Pot and that’s what I am going to share today. 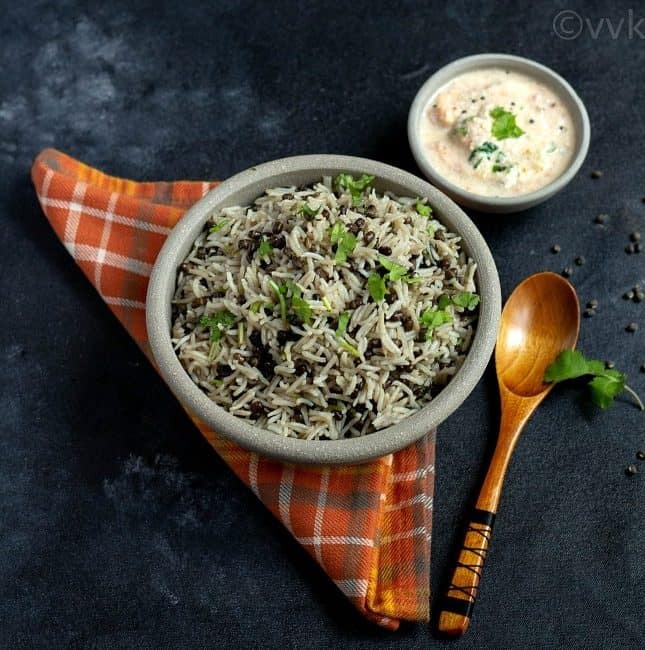 Check out this healthy black urad-dal pulav without any onion and garlic with detailed step-wise pictures. 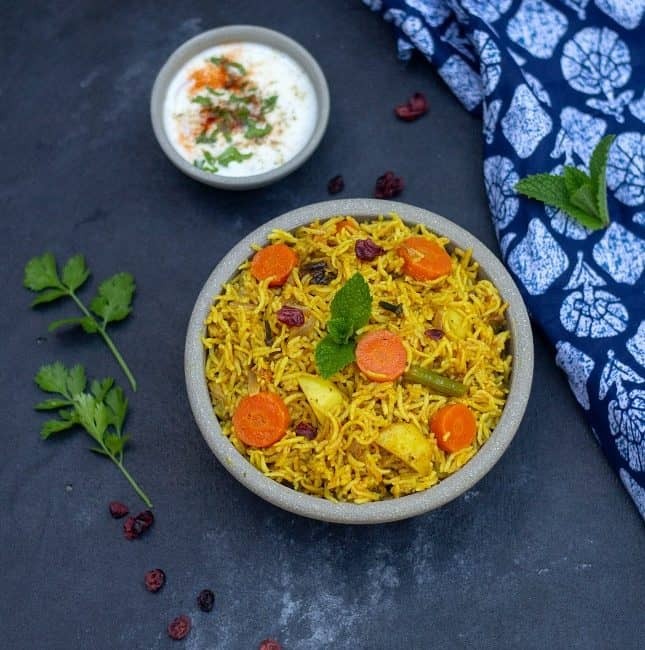 Sindhi Veg Biryani – A spicy and a delicious biryani from the province of Sindh made with vegetables in Instant Pot. 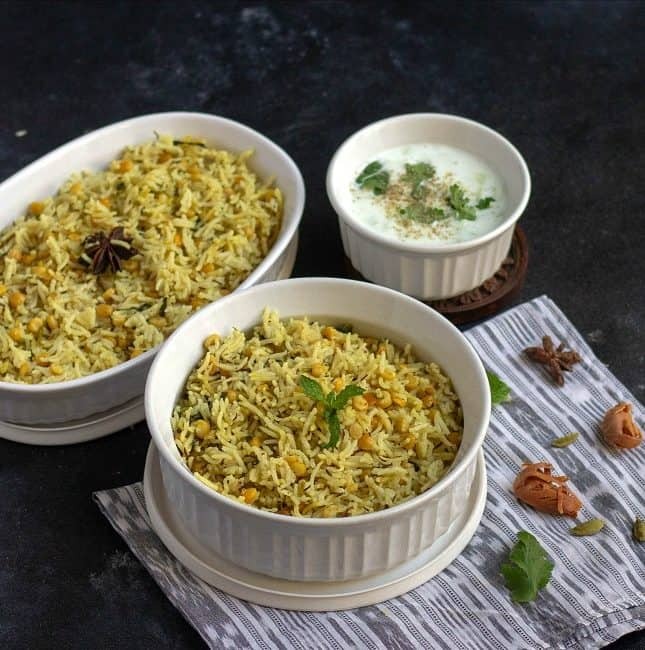 Check out the lip-smacking vegetarian version of this popular Sindhi biryani recipe with step-wise pictures. When I can make pulav without onion and garlic, why not biryani? 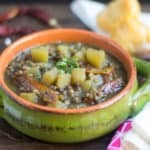 Here is my qubooli or the qabooli biryani with the goodness of Bengal gram dal but without any onion and garlic made in the Instant Pot. 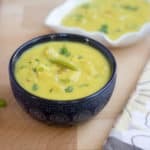 Check out this easy-peasy chana dal biryani or the qubooli biryani with the detailed step-wise pictures. 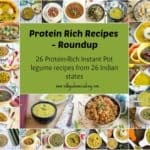 A mild mixed vegetable pulav made in Instant Pot without any onion or garlic. 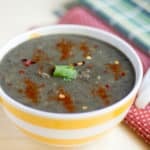 A perfect and a delicious recipe to make on any auspicious day. 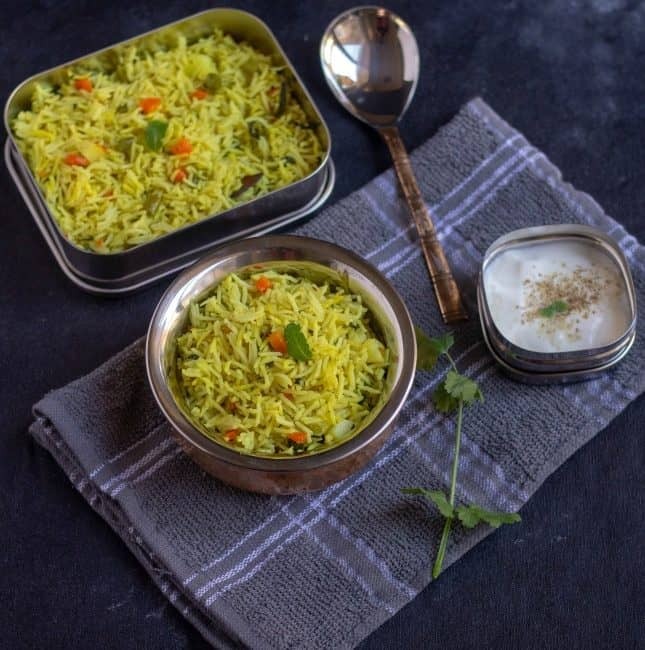 Check out the no onion no garlic mixed vegetable pulav recipe with a detailed video. 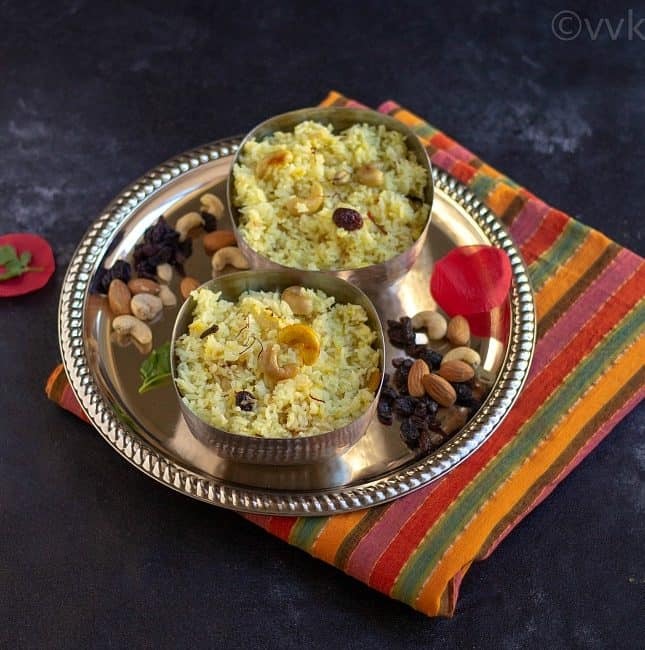 Call it mishti pulao or mishti polao or Basanti polao – this Bengali sweet rice with the subtle flavors of saffron is perfect for any occasion. 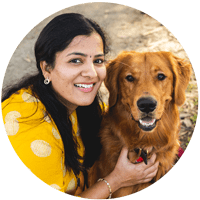 Check out how I made this mishti pulav in the Instant Pot using the Gobind Bhog rice.